There's something magical about seeing your name in calligraphy. It isn't just another piece of mail with a printed address cluttering up the mailbox. No, this piece of mail was intentionally + lovingly addressed to a very special someone. 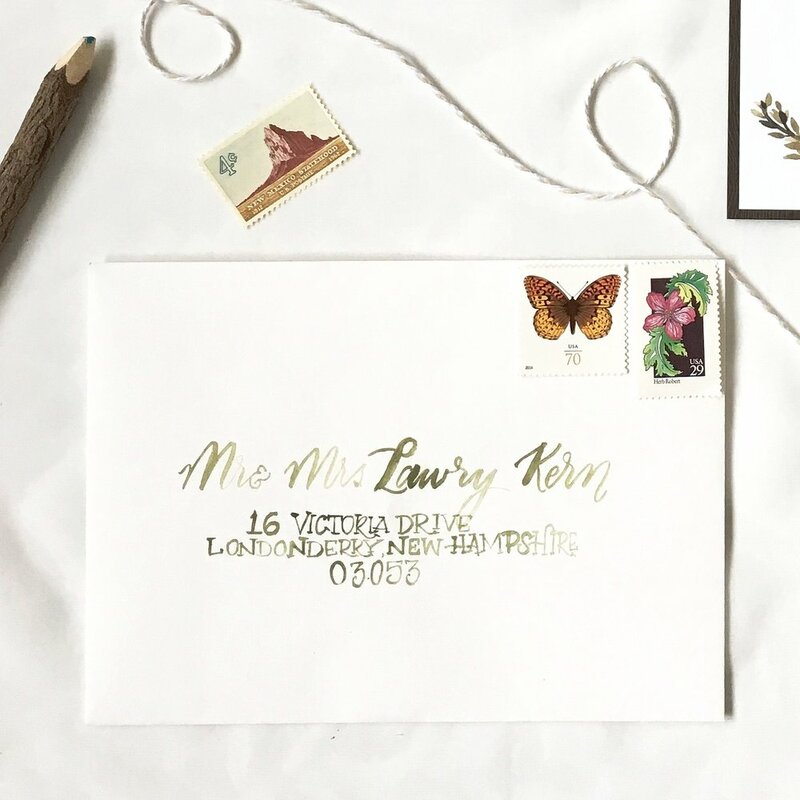 Plus you will love hearing how much your guests enjoyed getting a hand-calligraphed piece of mail. When it comes to formatting addresses, I have a few pointers to help expedite the process. Click here for my Guide to Formatting Addresses for Calligraphy.